Retail Stores and Shops are very much a breed of their own because most shops must rely on outside help to run efficiently. This could be due to hours the store must be open or number of stores you have open. Even number of locations you have in different towns, cities, states, etc. Relying on others and releasing the control you have over the interactions between your shop and customers is a hard step to make. But you want to retain as much control as you can over where your money is sitting and where it could be disappearing to (Inventory shrinkage, shoplifting, unauthorized discounts, employee theft, check fraud, etc). Outside might not be where your biggest risk lies for losing money. In 2017 the average loss per dishonest employee went up to almost $2000 ($1922.80). This is up almost $700 from reported 2016 numbers. Average shoplifting incident cost doubled to almost $800 ($798.48) in a single year. The National Retail Security Survey, where these numbers came from, attributed this unprecedented rise to a decrease in punitive action against employees and shoplifters. Shrinkage of 1.44% in 2017 even higher than record setting high of 2016. Loss of inventory in 2017 equates to a loss of almost $50 billion dollars to retail stores and shops. This loss of inventory is due to shoplifting, employee left, employee administrative errors, vendor fraud, etc. 36.5% of this missing inventory is attributed to shoplifting. That’s $18.25 billion walking out of stores. The next highest % is for employee theft at 30%. 47.1% of thefts are committed by………a manager. 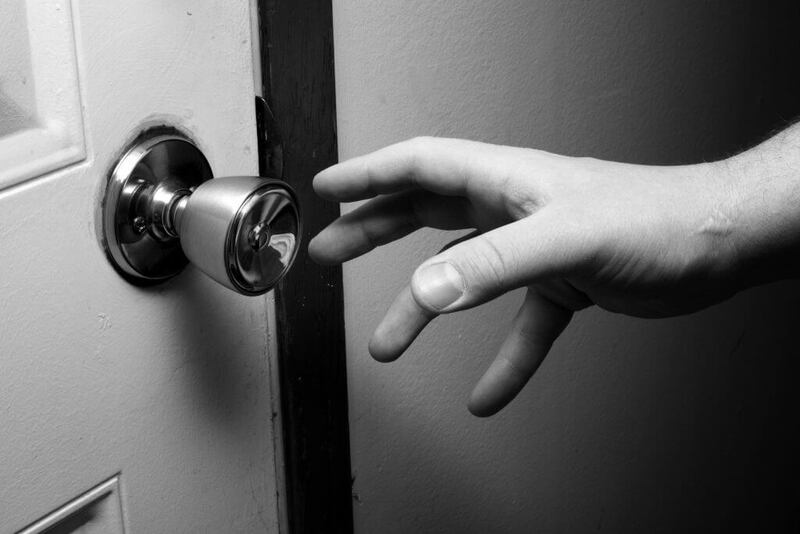 Percent of employees who have stolen at least once from their employer – 75%. Twice – 37.5%. So if you ask your ten employees if they’ve stolen from you and they all say ‘of course not’ then 7 or 8 of them are lying to you. When you ask if they’ve stolen from you twice and they all say ‘NO we would never’ then 4 of them are still lying. Median amount being stolen in house is $175,000. That’s a huge hit to the bottom line of most companies. Percent of all business bankruptcies caused by employee theft – 33%. Just. Wow. One thing to remember out of this whole list of information? Cameras don’t lie. Ever. They can’t be swayed by peer pressure. Can’t be bribed. Can’t be turned to the dark side (Luke, I am your father…) So get cameras even if it’s just a few to start with to watch your high dollar items / cash points. Then you can add cameras as you grow / need more / see how much of your money is walking out the door. No one is protecting your assets when you’re not there so put some eyes in the sky to always keep watch when you’re not there….and even when you are. Employee theft and embezzlement are huge problems and you could be losing money in ways you don’t even know to look for. 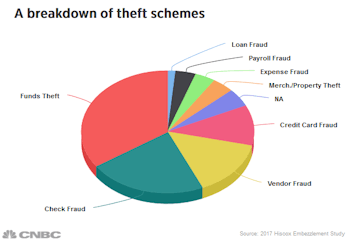 Below is a breakdown of theft schemes in 2017. To catch people red handed and be able to prosecute you must have evidence of what is going on and time and date stamped video evidence gives you a leg up in a court of law few other pieces of evidence will get you. Now let’s talk about the things we haven’t even touched on yet that cameras can help with! Do you have ecommerce? Ship product out to customers in the area or around the globe? If so, how many customers intentionally or un-intentionally accuse you of shipping the wrong product or not the full order? Quality checks throughout the packing and shipping process only go so far when your customer is adamant they didn’t receive what they ordered / what was shipped. Super easy fix. Add an inexpensive camera over your work / ship table to document every single order leaving your store. Want to go one step further? Get an inexpensive wipe off board and write the order # you’re working on large enough the camera can see it easily while you’re working on it. Have customers accusing your employees of not giving them the right change, not giving them the right merchandise, not taking or giving coupons, store rewards cards, etc? Guess what can fix all of that! Cameras. Vandalism – Kids in the area with rocks and paintball guns, a bit too much time on their hands and not enough supervision. General surveillance cameras around the perimeter of your building can catch all of this day or night as long as your cameras have infrared illumination. Oh so kind Johnny and his friends can look like the sweetest angels on the planet and their mamas won’t believe they could be doing anything wrong, until you bring up the playback on your phone and show them shooting out five of your windows and helping themselves to selfies to post on social media in the following weeks wearing your stolen merchandise. Oopsie! 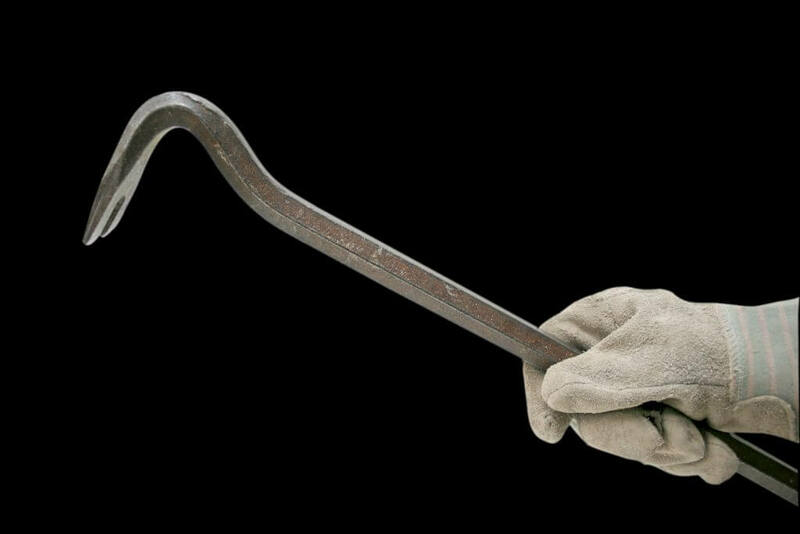 Break Ins – Then you get the people that don’t think you have cameras and are easy pickings so they’ll just bring they’re buddy Mr. Crowbar to a party at your store late on a Tuesday when you’re gone and help themselves to everything in the cash registers after hours. Use cameras that are a presence. You don’t want tiny little hidden cameras. You want people to see them and turn around and go the other way. Do your part in making them someone else’s problem. And get that money out of the register!!! Make sure your employees know you don’t keep money there overnight either. And lock up your valuable merchandise every night as well. Don’t make it easy for people to steal from you. Because they will. Every time. Now let’s talk about a few things you can and can’t do in reference to employees when you’re in the hiring process to hopefully save yourself some headaches down the road. Multiple Interviews to make sure the person you met on the first interview is the same person you meet on the second interview with the same kind of personality and answers. You want to be able to trust this person. Can you? Verify past employment history on anyone you hire. Contact their past employers and ask pointed questions on why they aren’t there anymore. This is your opportunity to find out what you’re about to let walk in your “house” so use the info you have at your fingertips. Criminal background checks are most definitely still a thing ESPECIALLY if you’re going to have someone around cash, change, checkbooks, payroll, etc. Watch any and all employees if they have access to ANY of your money. People will steal when they have the opportunity so don’t give them the opportunity. Believe their story about drug screening when it comes up positive and they say it’s something else that’s giving it a false positive. They’re lying. Every. Time. Give them the log in access to your camera system. This is the key to the candy store and you don’t want them in there monkeying around with your access or views or remote logins. It happens all the time and is a huge headache for the owners when they have to wipe the system and start over to begin protecting their camera system again. There is a lot of things you have to deal with every day of your business. Put cameras in before you even open your doors. And if you’re already open and don’t have cameras then put cameras in now. Don’t become another statistic. Protect what you’ve worked so hard for. Cameras are a deterrent as well as a safeguard for when something happens. Don’t get caught with nothing to protect your investment! Advantages of going with an Enviro Cams IP system! All video is standard with court admissible Time and Date stamps. Can record just when motion is detected or can record 24/7, or can ramp up when motion is detected to save on hard drive space. Tons of options and on a per camera basis. 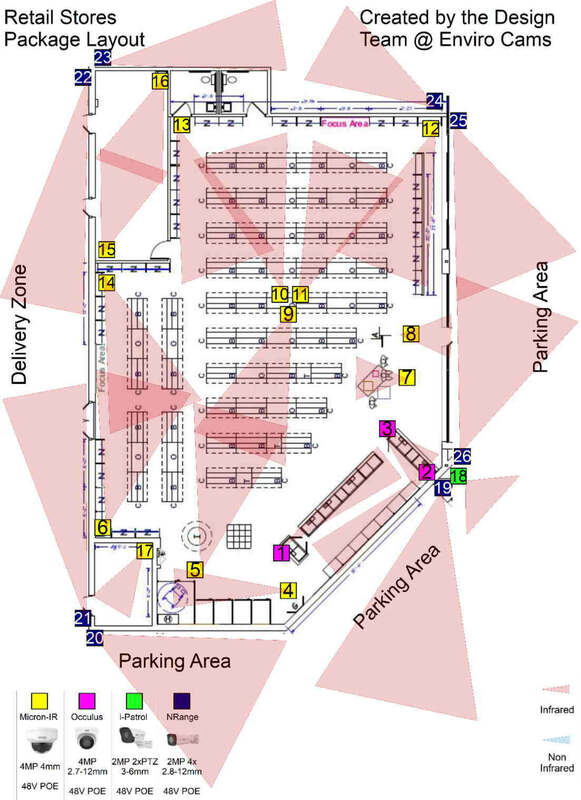 Works with all ONVIF standard IP cameras running on H.264, H.265 and H.265+ compressions. All NVRs have multiple hard drive bays per system and can meet any retention requirements due to H.265+ compression. Supports multiple cameras that record 4MP and higher. Access to camera footage for live and playback locally and remotely through PCs and smart devices (cell phones and tablets). Event notification for the cameras themselves and if you have an alarm system tied into the NVR. Knowledgeable sales staff ready to make sure you’re getting the custom system you need on the first try. Free US based tech support for the life of the equipment. Need a custom system designed for your facility? Call Jennifer today Toll-Free at 866-301-2288! Didn’t get enough awesome info above?? Then here are a few more links you might enjoy!